Despite being a blogger and therefore someone who spends a lot of time reading content online I cannot get along with reading books that way. My mum loves her kindle and I've tried to adapt but for me there's nothing like turning the pages of a good book. I even borrow most of those I read from the local library, that's how 'old school' I am. So I personally am very pleased to see that Pretty Honest* by Sali Hughes is released on paperback today. It's highly likely if you're a beauty fan, and certainly if you're a blogger, you already have the hardback version of Pretty Honest like I do. The problem is that aforementioned online reading means that the only time I really read physical books is on my daily commute. Hardback books do not lend themselves well to this. Sali Hughes is a well known journalist who can be found at the Guardian, Pool or her very own website, and we all love her 'In the bathroom' series on YouTube don't we? Sali is straight talking and whilst not limited to, really knows her stuff about all things beauty from budget to high end. I'm not going to lie I quite happily take to reading her Twitter feed when I have a spare moment. In short 'when I grow up' I would be happy to be Sali Hughes. Enough of the fan girling and back to Pretty Honest, a book which is touted as 'the only beauty book you'll need' and rightly 'the straight talking beauty companion'. In a world when beauty blogging is more mainstream than ever you wonder if this book has a place and let me tell you it does. 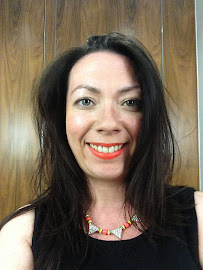 Sali is extremely passionate about make up and combined with her wonderful writing style you have a book which covers chapters such as the typical 'what is your skin type' to the less spoke about such as 'Beauty in Illness'. 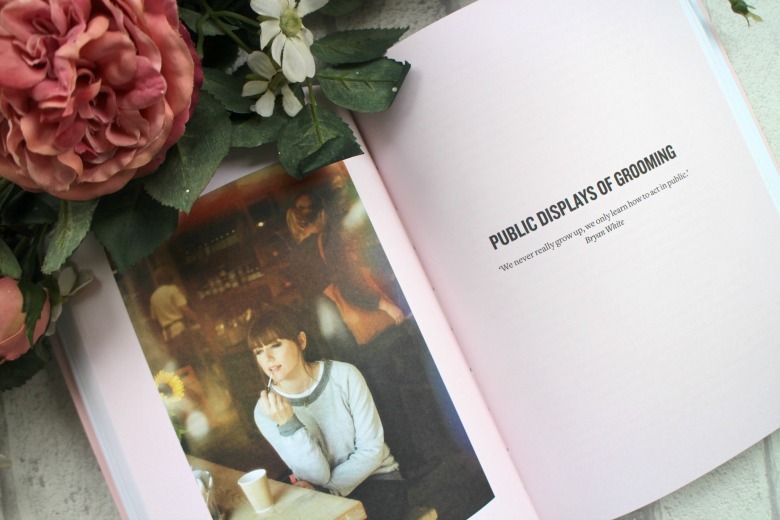 A favourite chapter of mine is 'Public displays of grooming'. Sali and I are both fans of applying our make up on trains. We also agree that foundation should be done at home and wait to depart the train and get into the open air before spritzing our favourite perfume. In Sali's typical no nonsense manner she rightly says if you don't like it, look away. The style of writing is typical of Sali, she empowers you to experiment and more importantly enjoy make up. 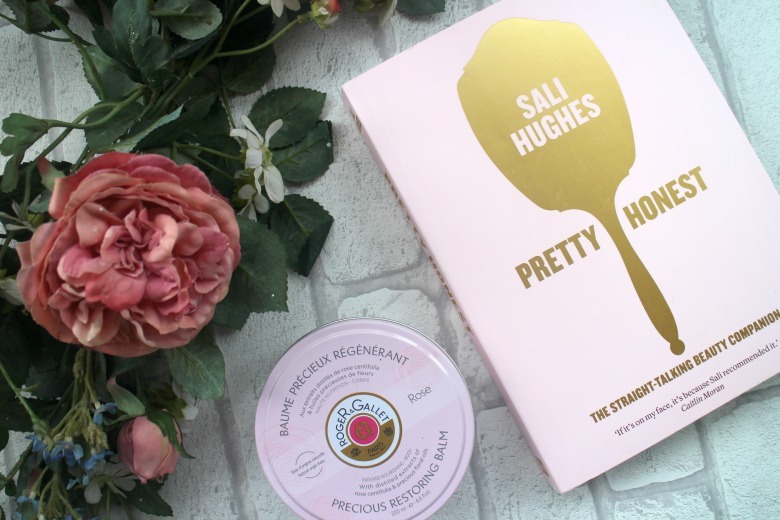 Pretty Honest is not just pages of Sali's opinions, of course she shares the wealth of her experience in the beauty industry and gives you some help along the way. Looking for tips on how to apply red lipstick, that's here and if you're baffled by foundations Sali gives easily digested summaries. Pretty Honest is a book I had enjoyed dipping into in it's hardback version but now I'm looking forward to it accompanying me on the train and devouring every chapter in it's entirety. I would happily gift this book to every woman I know, young or old with a money back guarantee. Even those who aren't beauty enthusiasts would find pleasure from this book and I defy anyone to not learn something new. Will you be picking up a copy of Pretty Honest? Never heard of this actually but it sounds like something I need to read! Reading lists are one I'll never complete either!